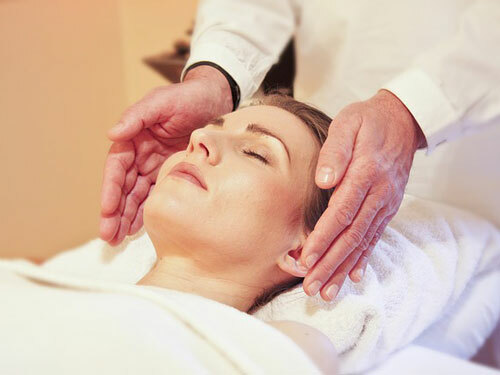 Reiki is a Japanese healing technique based on the principle that the therapist can channel energy into the patient by means of touch, (or placing the therapist’s hands just above the body) to activate the natural healing processes of the patient's body and restore physical and emotional well-being. It is based on the idea that an unseen "life force energy" flows through us and is what causes us to be alive. If one's "life force energy" is low, then we are more likely to get sick or feel stress, and if it is high, we are more capable of being happy and healthy. Reiki is offered at the Drop-ins, depending on the availability of therapists. See also Massage, Chair massage, Indian Head massage, Shiatsu and Reflexology.